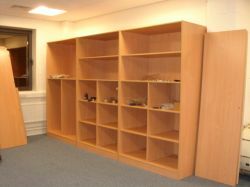 All our cabinets are available with or without full and individual locking compartment wood doors. 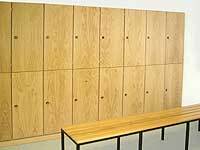 Our Cabinets and Lockers are either wood veneered or wood melamine with PVC edging and interior wood grain finish. 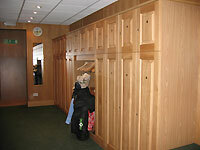 Doors are solid timber raised and fielded or plain veneered in oak, beech, ash or other wood of choice. Please call us for an initial no obligation discussion on 01580 893889.